Many, many actors have played the role of Batman over the years. But if we were to try to name one unifying thread between each iteration of Batman incarnation, it would definitely, unequivocally, and Bat-assuredly be his utility belt. Batman in 2016 is no exception, and with actor Ben Affleck filling the role in Batman v Superman Dawn of Justice, his utility belt is the most advanced to date. 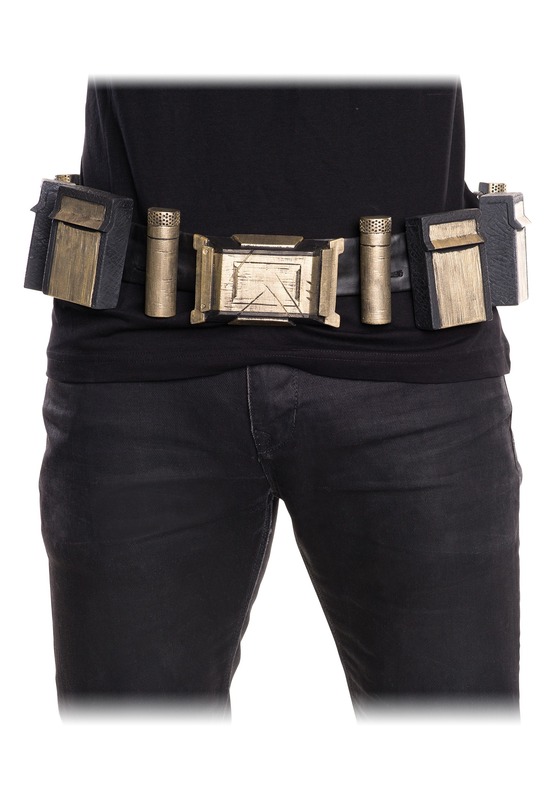 Now you can customize your Batman costume with the ultimate touch when you add this Dawn of Justice adult belt. With the gold painted finish adding just the right amount of contrast to your stark black suit, you're sure to have a movie worthy look in your own right. Now, since it's just a prop accessory, you won't actually be able to store all of your Batarangs and Bat-technology, but you will be able to capture the on-screen look of Zack Snyder's version of the Caped Crusader right down to the smallest detail. Just add this elaborate replica accessory to your authentic costume, and you're sure to be the latest and greatest person to play the role!